Social determinants of health – access to housing, food, education, transportation, employment and more – are key to wellness, because they're often the barriers that interfere with unmet physical and mental health needs. 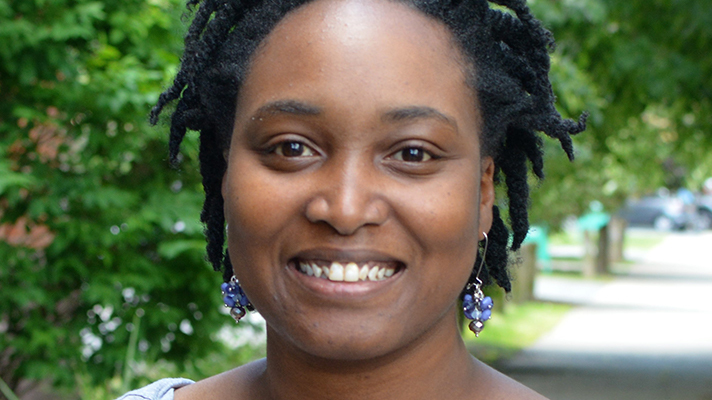 "If someone is having any challenges around social determinants of health and are battling any physical or mental health need, their priority is going to shift toward making sure their social determinants of health need is met rather than the physical or mental health need," said Keshana Owens-Cody, director of community relations at Troy, New York-based Alliance for Better Health. "Our system must shift to assessing and addressing these needs before a patient leaves an office just as we treat symptoms of a physical or mental health need," she said. Medical practices feel this burden, community-based organizations address many of these burdens. A new technology platform the alliance is using helps to glue both parties together to address both "symptoms" simultaneously, she said. The platform ensures that these needs are addressed before a patient steps out of the office. A coordination staff member can make a referral into the platform while the patient is still in the office to address their needs. The Alliance for Better Health launched the Healthy Together Referral Network using technology from Unite Us. It's a communitywide network that delivers integrated care that addresses the social determinants of health of Medicaid beneficiaries in Albany, Fulton, Montgomery, Rensselaer, Saratoga and Schenectady counties. The network is an example of how to successfully implement cross-sector collaboration to achieve the Triple Aim of healthcare. The Alliance for Better Health is one of 25 Performing Provider Systems that is involved in New York State's Delivery System Reform Incentive Payment Program, and Unite Us is a care coordination and outcomes tracking software vendor working with communities to address the social determinants of health. To date the Healthy Together Referral Network has 53 participating organizations working together to deliver more than 93 types of healthcare and social determinants of health services. Participating organizations were chosen strategically to create a well-rounded system able to meet all social determinants of health needs. Organizations range from providing services to ensure basic needs are met (food, housing, utilities, benefits enrollment, etc.) to physical and mental health services and self-management resources. "As our healthcare system transitions into value-based payment arrangements, we ensured that the organizations were categorized by the social determinants of health intervention menu provided by the New York State Department of Health," Owens-Cody said. There are many care coordination systems on the market, but not many focus so sharply on social determinants of health like Unite Us. Vendors of care coordination software include Allscripts, b.well, Caremerge, Ensocare, Imprivata, PatientPing, pMD and Seremedi. Care coordination staff go into the platform, fill out a questionnaire and refer their patient to a service that deems itself available to meet the needs of the patient. The system includes a consent form to be signed by the patient, as well as a receipt of referral. Once the referral reaches the organization they can accept or deny the referral. If the referral is accepted, the organization can assign staff who will be responsible for the intake of the referred patient. If the referral is denied, the organization can select the reason for denial. Denials could range from, for example, client unable to be reached or incorrect referral source. This system completely closes a gap that coordination staff have been facing for years, Owens-Cody said. "Without this IT we could not see the journey of the whole patient and the system would continue to only treat what issue presents to them." "Referrals traditionally are called in or faxed," she explained. "They can be on a fax machine tray for days, or not picked up at all. Follow-ups are often unheard of, and now we have a system that acknowledges a referral was received, and not only that but did the patient actually receive services, and the point of contact for those services." Staff charged with coordinating care use the system. This could be office assistants in medical practices, care coordinators, community health workers and health coaches in community-based organizations. Their roles center around providing holistic care to their patients and linking them to core services to address their patients' needs. "The Alliance for Better Health has enhanced the system usage by hosting Unite Us follow-up trainings on platform utilization," she added. "We also host monthly Healthy Together live events, which brings the platform to life through hosted open houses at the Healthy Together participants' sites. This provides the opportunity for organizations to learn firsthand the services and eligibility requirements for programs in the platform." The Alliance for Better Health also provides support to organizations to incorporate the platform into daily workflows – sitting down one to one with program managers and staff, identifying challenges, and coming up with solutions to build in the Healthy Together Network into daily practice. The network will integrate with other technologies. For phase II of the rollout, for example, the alliance plans to integrate with other systems from other organizations, such as transportation providers. Owens-Cody walks through a recent example of how the network works in daily practice. "One of our primary care providers was working with a patient on benefits enrollment," she said. "They had faced many challenges before the Healthy Together Network was up and running and felt like they were running in circles around understanding service coverage. A referral was made through benefits navigation, and the referral source was able to help the patient understand their coverage needs and receive the medical services that they needed and deserved." A problem that was taking the primary care office weeks to resolve turned into an issue resolved within 72 hours, she added. The system helps organizations stay in their scope of practice, she said. "We shouldn't expect organizations to understand all systems navigation," she added. "Each organization in the platform has a specialty and can get through our patients' obstacles as they are trained to do." For the Healthy Together Network, which launched in March 2018, so far, 42 percent of all individuals in the networks seeking services received housing support; 17 percent received individual and family support; 10 percent received utilities assistance; and 10 percent received clothing and household goods. "IT is the backbone of this solution – the closed loop and easy interface make this tool not only easy for our partners but incredibly valuable," Owens-Cody said. "Without this IT we could not see the journey of the whole patient and the system would continue to only treat what issue presents to them. Now, the community can work together to see the whole patient and coordinate care around the success of their overall health." The driving force and foundation of Unite Us and Healthy Together is the recognition that the IT only works if the community adopts it together and participates as a network, she added. "I would encourage others to not only engage with their community-based organizations, but also engage with their community-based organizations network," Owens-Cody advised. "Who do they traditionally make referrals to? Who do they have formed relationships with? And how do we bring them into the network? Understanding the network and incorporating those natural referral paths in the system only makes it stronger."